Schnieder are positive grid of lines, oriented at 28 degree East of North on the North -South and East - West axis. Hawthorns tree grows on the positive lines of this grid, which are associated with strength and physical healing. The crossings of positive lines are all associated with holy wells,chapels, shrines etc. 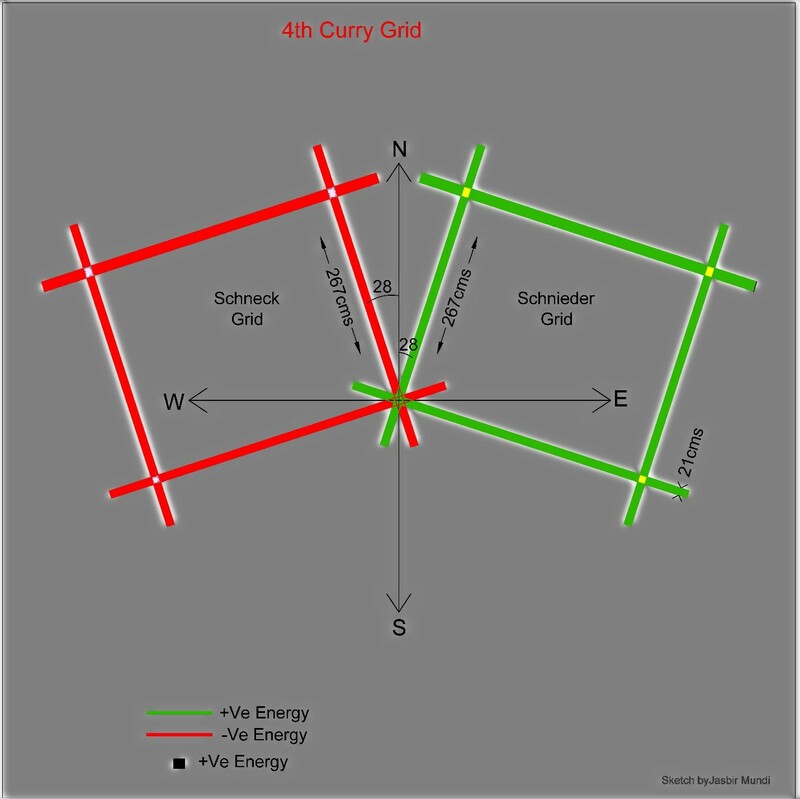 Schneck described a mirror image and a opposite version of of Second Schneider Grid, it is oriented at 28 degree West of North on North -South and East -West axis. It flows with the negitive energy and is associated with executions sites, prisons etc.